This week, Tracy and I finished up our playthrough of Borderlands: the Pre-Sequel! We called in the cavalry, fought our way onto and through an alien installation, and killed a many-faced alien god, possibly prompting some kind of interstellar war. But did it matter? Let’s find out! This week, we finished off The Pre-Sequel!, and Chekov’s gun finally fired: the sinister alien introduced in the first thirty minutes, who had made no appearances since then, finally reemerged to…do some stuff. At this point, its part in the narrative was kind of a mystery, and I completely lost track of why we were teleporting to the alien installation and what we were even fighting for. As we loaded up the stream, our friends Conrad and Aidan showed up and joined our final fight. We started with a long conversation about how alien environments are always tragically purple (I’m looking at you, Halo franchise). Once you’re in a purple environment with drifting tubes and an ambient electronic soundtrack, you know you’re in for some aliens. However, I found Borderlands’ aliens to be unremarkable and uninteresting to fight. Sure, their headboxes are slightly different, and sometimes they explode into more glowy, more fighty foes, but with four people on the team, the alien eternals were just so much cannon fodder. One high point: Tracy, prone to getting turned around in the game’s confusing vertical maps, managed to get herself lost and described a completely gonzo environment over voice chat. As it turns out, Tracy wasn’t hallucinating, but had instead discovered an adorable homage to Super Mario Bros. hidden within The Pre-Sequel. This illustrates two things. 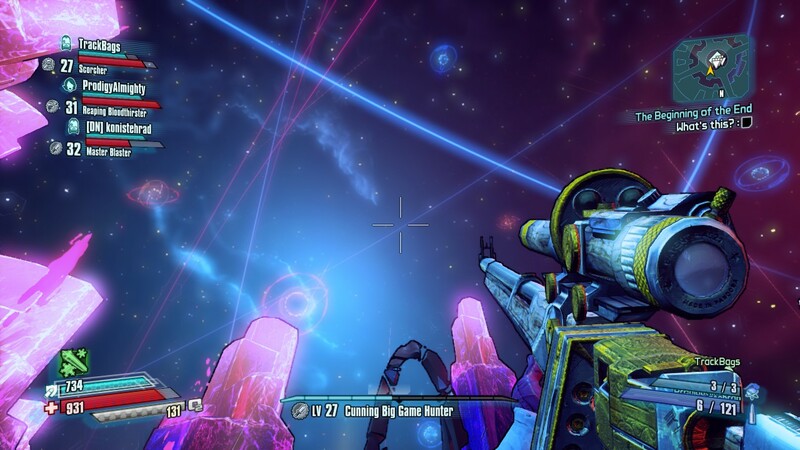 One, the creators of Borderlands love little secrets, particularly ones that hit their fanbase’s collective video game nostalgia. Two, it’s incredibly easy to believe that your friends have gone mad. Anyways, after barging through some confusing maps and circling what felt like five times around a series of alien platforms, we made it to the final boss, who was behind the most purple glowing thing on in sight. So here we were: the final boss. I think at this point, we technically think we’re opening a vault. 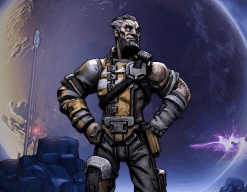 Unfortunately, the term “vault hunter” has way more meaning in Borderlands 1 and 2. “We’re opening a vault” meant very little to a new player like Tracy, except that the game told her to go to a place and fight a guy to proceed, so she did. The guardian of the vault—the mysterious purple king of a mysteriously purple world—was there to stop us. If you’ve played many video games, the Sentinel of the Vault is an easy read. You fight him in normal-sized mode, and he flies around and does attacks on a predictable pattern, the most devastating of which is a giant blast wave that circles out from his body. Of course, the low-gravity jump is in place, so this a non-issue to avoid, so long as you’re not getting distracted by how awful the walls of the arena look (and I was). The second phase is a giant sequence of three heads, each of which attacks with a different element. I know, this is supposed to look overwhelming and cool. But I think Borderlands flourishes more on interesting firefights than big, purple set pieces. This new phase was both predictable and, with a team of four now-seasoned shooters, it wasn’t even that impressive. And then it ends. I will say, in my first playthrough, the novelty won me over. A second go-round made some of the tedious parts more recognizably tedious, and the joy was mostly in companionship. In terms of cool combat situations, storytelling, and a variety of things to do, The Pre-Sequel! fell short of its predecessors. Jo: So we finished! How’d the narrative strike you? Was the pay-off worth it? Tracy: Ehhh…It was cool to see Jack get his, but like you, I also lost track of the narrative. Nothing felt connected, especially when we ended up in Purple Land. I wasn’t emotionally invested in the final fight at all. I think the game suffered from a lack of central villain. Zarpendon partially filled that role, but you only interact with her as a player twice—once at the start, and once at the end. I do wish the Sentinel of the Vault had more of a say in the story. It felt like the developers opted not to go too deep into the lore of Borderlands (more than they already had in prior games, at least). Perhaps they did not want to alienate (har har) new players like me, but in that case they may as well have titled the game Borderlands: Jack’s Fetch Quest Fun Time rather than the Pre-Sequel. Jo: How did you feel about the game as an FPS overall? I know for a fact that you’ve caught the bug, playing way more shooters and generally exploring the genre. Where does Borderlands fit into this ecosystem for you? Tracy: I still can’t aim, I still can’t figure out where I’m going half the time, and I’m still rubbish at weapons customization. And yet, the game does not punish you for this. Sure, I died more frequently than I would have liked, but the game never felt inaccessible if you were under-leveled or under-skilled. We finished the main story of the Pre-sequel, but I fully intend on going back and exploring more on my own. Borderlands encourages you to keep going, be it through a Second Wind or through tidbits of story revealed in a chain of side quests. Jo: We pulled in some more backup this time, and the Kreyling brothers are seasoned video gamers. Did that make a difference for you in the final fight? Were you bored, or was it still a good balance? Tracy: While The Sentinel wasn’t the most difficult boss, it was still a rewarding challenge. I think we were all surprised that the fight was completed in one go. A full team made a big difference, not the least of which was feeling triumphant at the end rather than frustrated. Having another Wilhelm did make me feel a bit redundant. In hindsight, I could have respecced to be on the opposite skill tree of Conrad’s Wilhelm. But instead of being a tank, I got the chance to be an extra pair of eyes and warn the group ahead of time when a special attack was coming. Maybe I should play a sniper next time! Well, the view was kinda worth it. Jo: You perform in the Washington Metropolitan Gamer Symphony Orchestra (DC-area locals: check it out! ), and you regularly pull in music from games that you play. How did you feel about the music in Borderlands? Tracy: I would sum up the soundtrack as “outer space pew pew,” akin to the Tron: Legacy score. It’s funny, because I strongly associate the franchise with Catch the Elephant’s “Ain’t No Rest for the Wicked” rather than quasi-cosmic ambience. The music suited the environment of the game, but didn’t add much in terms of mood. I think of Bioshock and how intensely creepy the world of Rapture felt when “How Much is That Doggie in the Window” would play during a firefight. For me, the closest the Pre-sequel came to matching mood with music was at the very beginning. Fighting through Helios Station felt exciting and badass. Getting lost on Elpis felt thin and boring. Jo: So what’s next? Would you invest more time in another Borderlands entry, or is this the end of vault-hunting for you? Any last words? Tracy: Borderlands 2, here I come! I’ll miss the laser weapons and the double jump, but I can’t wait to see more of Pandora. And if there happens to be another secret Mario level that can only be found by getting hopelessly lost, all the better. 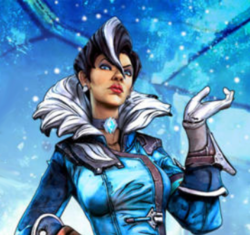 Read the rest of the Borderlands: The Pre-Sequel series.